When it comes to your manufacturing process, your goal is undoubtedly to cut costs, improve your timeline, and retain quality. For many companies, the thought of outsourcing their manufacturing is pushed aside due to a variety of myths surrounding this version of manufacturing. However, if you want to achieve all these goals, outsourcing your manufacturing could actually be the key you are looking for. 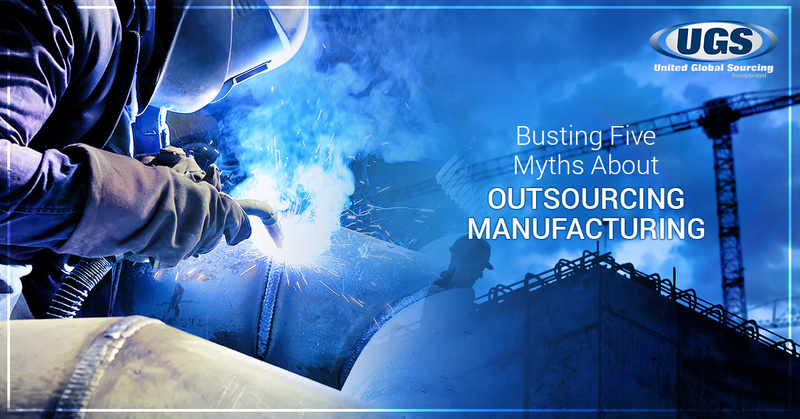 Before you write off outsourced manufacturing and stick to in-house work, consider these myth-busting facts. If at any point in the process you want to learn more about the specifics of outsourcing your manufacturing process, please reach out to us at United Global Sourcing. We are proud to provide high-quality manufacturing solutions for our clients. We will take the time to ensure you are comfortable with the choice and that you never fall prey to the following issues. When it comes to outsourcing your manufacturing, many companies erroneously believe that communication will be extremely difficult. Whether you are worried about barriers to communication due to international business dealings or communication breakdown due to the distance between you and your manufacturer, it is easy to understand why this is a concern. When you have manufacturing done in-house, it is simple to communicate with your team. When you move that team to a distant location, it can be cause for worry about how communication will be handled. This myth stems from a touch of fact. When handled incorrectly, outsourcing manufacturing can lead to serious communication issues. However, this does not have to be the case. It really will come down to your sourcing company. Here at United Global Sourcing, we have made it a top priority to ensure our clients never miss a beat when it comes to communicating clearly with their manufacturer. It begins by carefully pairing you with the right manufacturer for your needs. When you open yourself up to the global market, you are able to choose from a massive number of manufacturers, which allows you to pick someone who specializes in exactly what you need. This allows for a clear understanding of your expectations and the ability to meet those requirements. It doesn’t’ stop there though. We oversee the supply chain from start to finish and ensure you always have access to the data you need as the production takes place. You are not left in the dark and you are not left to handle the communication process on your own. One of the top reasons a company will refuse to outsource their product manufacturing is due to a concern about reliability. Your business cannot afford to have missed shipments or standard specifications failed. You need to know that your manufacturing will run smoothly and on time. For this reason, some companies are worried about outsourcing for fear that they might be left hanging at the worst time possible. However, outsourcing your manufacturing does not need to mean a sacrifice in reliability. In fact, it can mean just the opposite. When you work with a sourcing company, such as United Global Sourcing, you can actually improve the reliability of your production. You can focus on running other components of your business while our team ensures your manufacturing is being handled by the best possible partner. We can access a global network of manufacturers which actually enables you to choose a team that is better equipped than your own in-house team to ensure your production takes place on time and lives up to your quality standards. To make sure you have a reliable manufacturer, take the time to do your research and only partner with a company that has a proven track record in outsourced manufacturing. Another fear that many companies have when they are considering outsourcing their manufacturing is the lack of control they will have over the quality of the product. They worry that without the product being manufactured in-house, they will have little to no say in the standards the process is held to. However, this is simply not the case. With our global economy, it is entirely possible to manufacture something just as high of quality when you outsource as you could in-house. In fact, in many cases, your product quality will actually increase. This is because when you open up your manufacturing options to the global market, you can pick out a manufacturer who specializes in the specific product you need. Not only can you pick a manufacturer who has the right equipment, knowledge, and experience to create a premium quality product, you can also still manage the quality control process. Through methods, such as sampling, you will have a say in what the end result will be. At United Global Sourcing, we are with you every step of the way, ensuring your quality standards are adhered to. 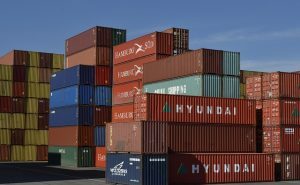 If outsourcing your manufacturing has you envisioning a logistical nightmare in which you are navigating the complex waters of customs clearances, taxes, and fees, don’t let this hold you back. This issue will only exist if you take on the relationship with an outsourced manufacturer on your own. However, if you utilize a sourcing consultant, such as United Global Sourcing, you will not need to face the headache of logistics. Our team will handle everything you need to ensure products make it from the factory to where they need to end up. We include all the fees and costs associated with customs management in our quote, which means less of a hassle for you. In fact, while you might be worried about the extra cost of outsourced manufacturing, the reality is that the end cost will actually be much lower than keeping it in-house due to the affordability of manufacturing overseas. When many companies envision outsourced manufacturing, they imagine it will add on to their manufacturing timeline greatly. This leads to a concern about meeting deadlines and keeping their production flow steady. However, this is not the case. With the right sourcing partner, you can actually improve your supply chain flow. Through the continuous monitoring of production status and an ongoing search for improved production processes, a team like ours can ensure you not only meet deadlines but wind up with a better process than you had prior. When you work with United Global Sourcing, we will constantly monitor compliance with shipping schedules and keep track of your production deadlines. If you are considering outsourcing your manufacturing, don’t let time constraints hold you back. Instead, utilize this change to improve your company’s speed. When it comes to outsourced manufacturing, our team at United Global Sourcing is second to none. We strive to ensure our clients have access to a global network of manufacturers who can best meet their needs. We will work to pair you with the perfect manufacturer for your specific needs. From industrial manufacturing, including precision castings and machining, plastic and molded natural rubber, and elastomer assemblies to consumer products, we can work with you to find the perfect method for outsourcing your manufacturing. Enjoy the many benefits of outsourced manufacturing when you get in touch with our team.